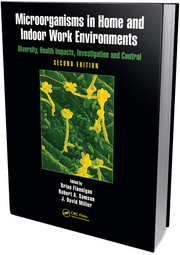 We are delighted to announce the release of the second edition of Microorganisms in Home & Indoor Work Environments: Diversity, Health Impacts, Investigation and Control, Brian Flannigan, Rob Samson & J David Miller (editors), CRC Press. Like its forerunner, this volume provides a comprehensive review of airborne microorganisms and the indoor environments in where they occur, including heterotrophic bacteria and fungi, viruses, pollen, and mites. Health effects relating to indoor microbial exposures are also extensively reviewed. Dr. Scott, Dr. Summerbell and Dr. Green (formerly Sporometrics, currently at NIOSH/CDC) contributed two chapters covering new developments in the detection and health importance of fragmented cells in bioaerosols, and the use of molecular genetic techniques for bioaerosol analysis. 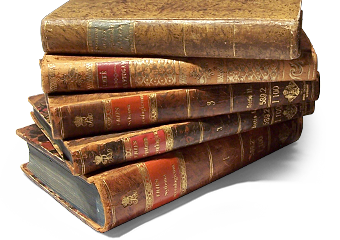 This volume is extensively revised and expanded from the first addition, reflecting the many advances made in the decade since its initial publication.